76mm x 2.5m Road Sign Post Manufactured in galvanised steel and have a grey plastic coating. ..
76mm x 3m Road Sign Post Manufactured in galvanised steel with a grey plastic coating. Inclu..
76mm x 3.5m Road Sign Post Manufactured in galvanised steel and have a grey plastic coating. ..
76mm x 4m Road Sign Post Manufactured in galvanised steel and have a grey plastic coating. I.. These sign fixing clips are designed to secure signs to 76mm diameter posts. This sign fixing c.. These sign fixing clips are designed to secure signs to 89mm diameter posts. This sign fix.. These sign fixing clips are designed to secure signs to 114mm diameter posts. This sign fi.. These sign fixing clips are designed to secure signs to 140mm diameter posts. This sign fi..
Sign Fixing Banding Tool. To be used with the stainless steel banding tape, 1/2" buckle clips .. Stainless Steel Banding Tape 30m x 13mm. Stainless steel banding tape to be used with the univ.. 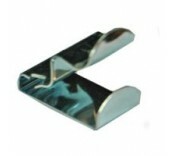 Manufactured from stainless steel this banding buckle clip is used for securing the banding tape .. The universal channel clamp has a saddle that slides into the sign fixing channel. The univers.. Stainless Steel Banding Strap 550mm x 13mm Strap feeds through a universal channel clamp and .. Manufactured from aluminium alloy. The sign fixing channel can be rivetted to the rear of a sig..
Used for securing temporary road sign plates into road sign frames. Securing the road sign cli.. Temporary Road Sign Masking Spray Paint 500ml. A fast drying temporary formulation specially d..
Manchester Safety Services’ hugely varied range of road sign posts and clips can help your work crew complete a huge range of different tasks. From fixing signs to masking their messages when they become redundant – the road sign posts and clips range is full of useful products for work teams putting up temporary or permanent road works. All of the products in Manchester Safety Services’ road sign posts and clips range have been produced using high quality materials by trusted manufacturers. This ensures they provide robust and durable support to work crews – particularly important when placed by the side of the road or on busy construction sites. The varied range of products in the range can complement one another – perfect for crews looking to fully stock up on important products. If you have any questions about the road sign posts and clips from Manchester Safety Services, give our dedicated team a call on 01706 364943.